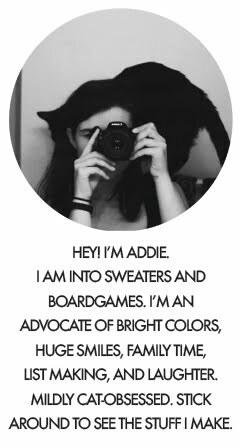 Addie Marie: Poor Neglected Blog!! It's been a busy few weeks! Still, that's certainly no excuse for not posting. I'm currently out of town, and I promise that when I get home I will do a huge post detailing all I've been up to, and I'll post pictures of my new project and my huge stack of new fabric. Anybody who knows me fairly well, or has asked me what I'm planning on taking in college, will know that I'm really into costume design. I've never had experience designing for a play, but it fascinates me. My passion is historic dress, and I love live theatre. So you can imagine how absolutely delighted I was when I got to meet a real, professional costume designer. She'd been designing for a rather large playhouse for the past six months when she took a moment to sit down with an overexcited teen to explain to ups and downs and going ons of a costume designer's job. It was amazing, and she was so sweet and wonderful that I hardly knew how to thank her. Basically she gave me buckets of wonderful information including tips on colleges, drawing, sewing, researching, places to draw inspiration, working with the director and collaborating, and ways to keep things simpler and more organized. Most of all, she made me feel like I could really do it, and that I wasn't just crazy for wanting to go into such an unordinary field. So that was pretty much the highlight of my month. Now I'm in the big cities spending Spring Break with a friend. My vacation is almost over, so you can be assured that I'll be posting more regularly after this. But the city was a good thing for me, for this blog, and for Matey Couture in general, as we visited this huge fabric warehouse, and I made awesome purchases. Remnant bins? Now my best friends. I got some amazing fabric and lace for a grand total of $21. And I'm not just talking a couple yards of fabric. I got probably ten yards, and then several yards of beautiful green lace, purple lace, and blue and white elastic trim. And zippers! There's this fantastic store here that sells all sorts of scrappy things, including recycled zippers for a dime a piece. It's probably a really good thing I don't live this near to prices like these-- I wouldn't be able to save a penny!! As far as projects go, I don't have many pictures. But here are a couple things I meant to post last week and never did: Fun With Ties! A new headband! You can also see I got my hair cut here. Anyway, for the headband I just took a piece of metal strapping that comes around lumber, bent it into the right shape, and slipped part of an old tie over it. Easy, and perfect for spring and short hair! I made a tie cuff, also. It took under five minutes, as I just measured, cut, finished the rough edge, made a button hole, and sewed on the button. It goes with more than you'd think it would, and it is fun an comfortable to wear. It's not much, and not what I'd normally post on here, but it's all I have pictures of. When I'm home and things are calmer, I'll write up a better post, I swear. Addie Marie! I wrote a huge long (and really funny) comment and felt so proud of myself and when I went to post it... and my computer refused. Ugh. But anyway, that is awesome that you got to meet that lady! How fun! Nice hair thingy, perfect for your short spring hair! I will try to call some time! Later! Oh yeah! When I come to visit you, we are going to visit every fabric shop in your state! Can't wait! I'll leave you alone now.. Thank you, honey!! And we so will. :) I can't wait. Wow! I love your designs. Being a hopeless clothes sewer I can't imagine being able to come up with stuff like that. Aww, thanks, Curls! Being hopelessly impatient, I couldn't imagine sewing with the tiny detail you do. :) Thanks so much!